My standard answer involves cleaning. If you are bored then you can tidy the toys off the floor in the front room, or you can put away the laundry, or go clean up your bedroom. I mean that’s the classic mom response, right? My mom used to pull it on me. If you are so darn bored, then I can think of chores for you to do. Wait, what, no? You suddenly have things to do. Hm. You sure you don’t want to wash down the dining room table? Turn lunchtime into an indoor picnic on the front room floor, or turn it into a tea party by breaking out the fancy tea cups (Pro tip: You can get away with serving the exact same PB & J and apple juice you were already planning on having, but now it’s fancy and exciting). 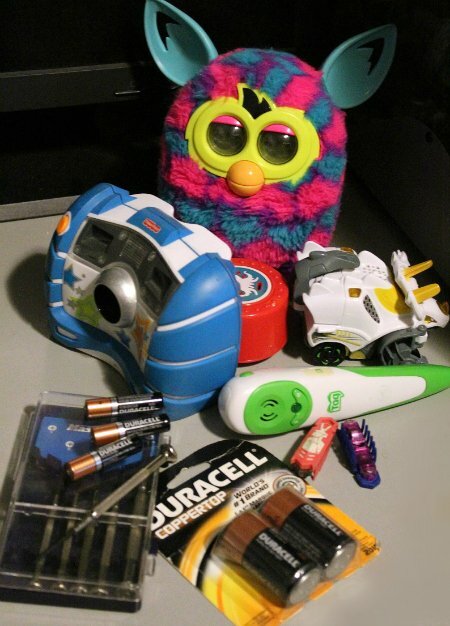 Did you steal the batteries from Furby because it was driving you nuts? Did the sound effects on your kids favourite toy mysteriously stop working? 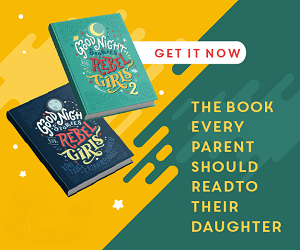 If they haven’t gotten to play with That Annoying Toy in a while it will be all that much more likely to keep them captivated for a decent amount of time (or until you reach your breaking point and steal the batteries from Furby, again). Do you have a pile of toys waiting for you to get the screwdriver out, open them up and insert new batteries? Again, putting a fresh set of batteries into a preexisting toy can make something old into something exciting and new. At our house the kids leave “dead” toys in a pile on the computer desk, and I’m pretty bad for letting that pile mount up before I get around to digging out the screw driver and feeding their playthings. Let the kids choose what you’re having for lunch, or dinner. Save it for later in the week, so the planning and anticipation can be part of the fun. Pick a recipe that you can make together, such as homemade hummus or D.I.Y. Sushi (my kids’ request for this year). Playing Rockband as a family can be so much fun. Even pre-readers can follow the colour coded musical notes and rock along on the guitar. (Pro tip: Avoid meltdowns by turning on no fail mode, particularly when playing with younger kids). Don’t forget the Duracell batteries to keep your drums, guitar and wireless mic humming along. Choose a day to wear PJs all day. Everything is sillier in you’re doing it in PJs (or at least my kids think so ). Have a pajama dance party, or use PJs as an excuse to cuddle up on the couch and watch movies all afternoon. Remember the days when photography involved film? When you had to chose carefully what moments you wanted to capture because you were limited to 12 or 24 exposures? 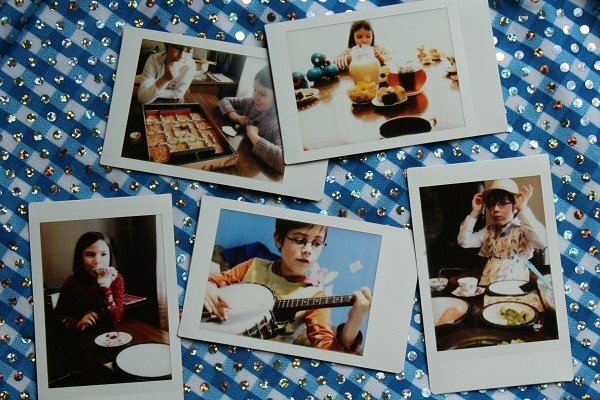 Teach your kids the fun of imperfect and finite photography, but with a little instant gratification now by using the Fujifilm Instax to captures their March Break memories. (Like that time mom went crazy and tackled Furby, or when Dad shredded it on the keytar). What are you doing to keep your kids occupied this spring break? Would a $50 Walmart gift card help fuel the fun? 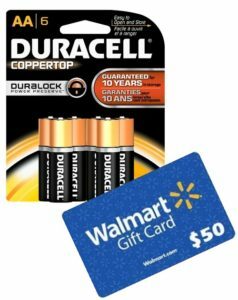 a $50 Walmart giftcard and a 6 pack of Duracell AA batteries. Disclosure: This post was sponsored by Duracell. You should know that I would never recommend a brand or product that I don’t genuinely love and use, and, as always, my words and opinions are my own. Great ideas. That Walmart card could easily buy some new games to play or even new PJs for a pajama day or two. We’re taking advantage of this burst of winter by spending lots of time outside in the snow! And since you reminded me, mybe we’ll dust off the old Rockband instruments! Get outside as much as possible and organize game night and movie night. We’re just having fun at home this year. My kids are grown, but I have my granddaughter to watch and we have been doing some dancing and singing and lots of Paw Patrol, plus she has been getting her hands dirty in the kitchen!! We are just chilling at home, hoping the weather is warm enough to play outside! Mostly just staying home and playing games or watching movies. 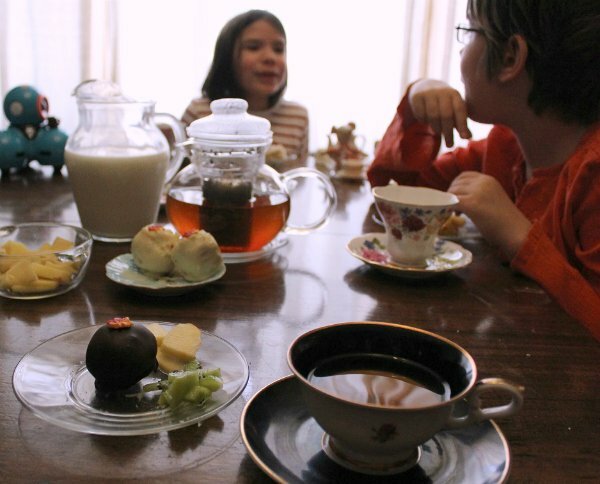 We went to visit friennds, lots of playing outside and now they’re having an outside tea party in the snow storm. We don’t have kids but we’re taking our niece to Wizard World! Staying home and taking in some local attractions. We are doing a mix of athletic outings like skating, friends & family visits, an academic outing to the science center, and some down-time watching Netflix / reading / and baking. My kids actually went to visit their gramma who lives out in the country. They have to take a ferry to get there so it really feels like a mini vacation to them. She has 5 acres of land so they spend a lot of their time outside exploring. My granddaughters are staying home and enjoying spring break by doing outdoor activities. March break – Visits to the library, skating, home art projects. They are spending March Break playing Pokemon GO! The kids and I are passing the March Break.by visiting family and friends … we went skiing and also just taking it easy … love waking up later! My daughter is taking it easy and relaxing hanging out with friends and occasionally reading a book ..I am working BOOHOO ! My daughter is 11 so she can entertain herself quite well, reading, playing games on her iPad, doing arts and crafts. We have gone out though to do errands and shopping. Nothing too exciting, but hey look, it’s already Thursday and the time has flown by! sent the kids to camp and kept working! The kids find ways to have fun indoors when the weather is too rough outside so we are running around playing games like hide-n-go-seek. I am running out of ideas on where to hide and they keep finding me but they seem to want to play that and other games. We have been doing lots of craft and watching movies. We’re staying close to home. A trip to the library was fun, and a couple of nice walks in the sunshine. I don’t have kids but I am passing the March Break by staying warm. It has been bitterly cold this week! We bought a few sleds and headed for the hills. We will be spending it mostly at home (outdoors when possible). Go outside as much as possible, play games and play activities ahead of time with their inout. We will be watching movies and playing on the Wii! We are just staying home and playing games or watching movies. We are playing games and going to the movies! No big plans this March Break, our big adventure is a day trip to the USA tomorrow to do some shopping. We are planning on spending spring break out to Vancouver Island to visit our parents – it’s a small trip but hopefully it will feel like a mini vacation! Went/going to museum, art gallery, movies, science centre, zoo, hang out at home. We plan to explore more of our city (i.e. going downtown, to different parks, malls, etc) and just enjoy the nice March weather outdoors! We’ve had a few playdates but we are generally hibernating. Hoping by the time we come out that all the snow will be gone. We got a huge dump this week! Probably we will be doing lots of crafts, making slime, and playing games! No big plans for spring break really! We are heading to a movie and will do some baking and crafts at home! 🙂 Thanks! We’ve been baking, watching movies, and playing board games! March break is flying by! We play video and board games! We are going to see Safari Jeff.The littles are VERY excited! My hubby and I had to work so my kids did some arts and crafts and skating and swimming and Netflix watching with our babysitter. We played games, watched movies, and went swimming. Spending time with my new granddaughter! by playing and watching movies and tv shows. We made crafts, baked cookies and sweet and sour chicken and got outside to enjoy the warmer spring temperatures. Thanks for the awesome giveaway opportunity! My oldest granddaughter spent a few nights at my house, then she had a birthday party , then the whole family went to Disney on ice on Saturday and tonight a good old farm supper. Busy week but so much fun and a lot of laughs. Getting outside even if its raining! We plan on staying home and enjoying local sites and facilities. It was very cold here so we hung indoors alot…movies and reading. Our March Break isn’t until next week (March 27-31). We plan to take a quick road trip to the mountains and do some hiking. we don`t have March break,we have Easter break,,and I will be going to St Anthony,NL for 4 days for my sons hockey tournament! Because it was so cold here, we stayed inside most of the time,reading,crafting and watching some good movies. My grandchildren that live in the same city as me have not had spring break yet. Plans are for the 2 older girls to do some sewing part of the time since they want to learn more. They will also go to the science centre, a movie, do crafts, play board games and go to the area playgrounds. Went to the movies a couple of times during the week and then visited relations out in the country for the weekend ! We spent March break discovery our community and all the activities it has to offer. We are currently on spring break in BC. Hockey games, movies and sleepovers! My daughter wants to go for long walks during March Break but we have too much snow here so we will take short indoor races in the gym. Well go for a walk! we are redoing the kitchen. We are retired so we can relax after this project! We went to the movies also we visited our Grandparents. My kids are all grown now. We visited the library and watched some movies. On nice days we played out side in the snow. We read and baked up a storm! We spent the March Break just being super relaxed and having fun at home with each other! Lots of Netflix! March break for us starts next week, and we are visiting family in BC! We spent it doing some short day trips and just having fun together. Grandkigs came to visit. We played cards and did art projects together. Please delete. Did not see for canada only. There’s lots of snow this year, so kids can’t wait to be out there, and I love to make homemade bread and chilis and soups in the slow cooker! We went bowling and out for dinner but mostly stuck around since they were working. My boys are grown and my grandchildren are not yet in school, so march break doesn’t really exist for us. Spring break is just starting today here, Easter break I guess. Well movies, playtime and walks and time at the park will be on our agenda, mu grand kids and myself. My kiddos are grown so we just spent it staying at home. going to the pizza buffet. We took advantage of the snow and spent time playing in the snow and later enjoyed board games with hot chocolate. Spring Break has been filled with too many inside days because of the weather. Thankfully my child is fond of crafts and playing with her Tekno puppy. We took them on vacation to Hawaii for a wedding – it was fun but stressful! We spend the March break visiting with family! Will spend time with the grandaughter. A movie day & an early dinner. Visit to the museum. ALways LOVE to do a ton of crafts and also read. We moved into our first home during March Break! My daughter and I explored the new house and unpacked lots of boxes! We had a fabulous spring break starting with friends over for a sleepover. They had so much fun playing games, making jewelry, watching movies, doing crafts and having special treats. We also went to the new indoor trampoline park one day, bowling another, had a do-over birthday party for a few friends that missed the first. My fave was the mommy-daughter days we squeezed in. I’ve been buying batteries constantly so this would be an AMAZING win that I would be so grateful for. REMINDER: is it time to change the batteries in all your smoke alarms?? We just did! A few fun eat-outs, lots of video games and movies as it rained non-stop here. Cuddling, reading and watching movies. Hey, thanks for the awesome contest! Much appreciated. No plans yet, we’ll see how the weather is and go from there. Enjoy the much needed time off with your families everyone. It is all about getting creative. So much time in the kitchen. The kids love it. Baking, meal planning and decorating. I let them decide what we are doing. I had no clue it worked like that out East, but that makes perfect sense — taking a break when they’d be cancelling school for the weather anyway. We all went to our grandmothers/great grandmother’s house. We prepared for the music competitions during March Break! We did a few fun things: aquarium, swimming, indoor play centres. Home Movie night!!! We spent it sleeping in and playing games together! Getting outside as much as possible , family board games and crafts. We visited the museum and went skating. Our family visited Ripley’s Aquarium, and the Toronto Zoo. Lots of adventuring around the city! We went on a few nature park walks near our house. We were involved in a hockey tournament. We went sliding, to the movies, played board games and baked some cupcakes. With the nice spring like weather we go for a hike behind our house. Sure would like to snag this amazing swag for my grandson. My parents took myself, my sister and her husband, and my niece to Hawai’i. It was the first time there for most of us. We went to the beach a lot and went on a lot of walks!! We will be doing Art classes together as a family. This is the first time that we are trying this… should be fun. Went skiing with my niece and nephew at Panorama. I took my grandchildren to the zoo, they loved it! Plus, I took them to a few movies, too. We went to the St. Louis city museum. They loved it. Was like a huge playground. My kid is grown, so she was in college and I was at work during March break. I do not have any kids but if I did I would take them to local museums during march break. I would also plays games and be outside if the weather is nice. It was super relaxed for March Break. lots of sleeping in and chilling out. They had friends over one of the days and it was their action packed day, thankfully warm out too. These are some great tips! Even when it isn’t March Break. Thank you for your honesty. I could just hug you. Sometimes my kids get in a groove where they act exactly like you just described, I’m thankful it’s not all the time. we played at the park, went to the pool, and visited the grandparents!